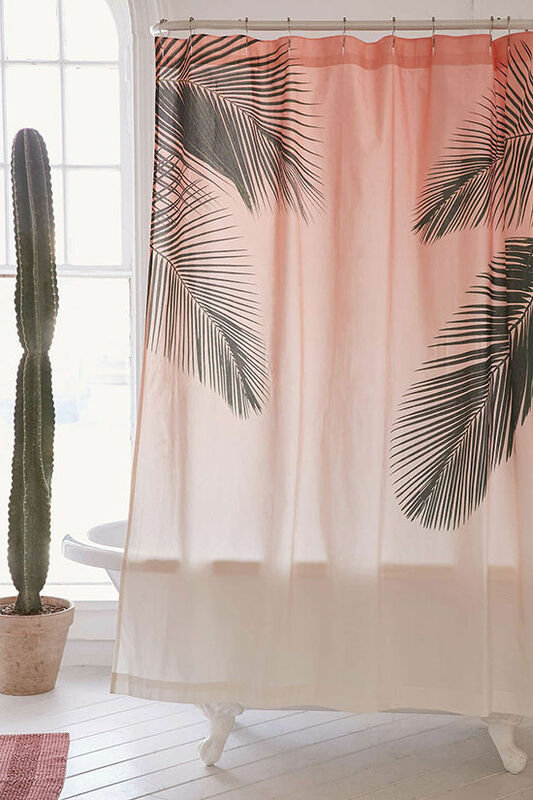 i’m really into the palm tree shower curtain. 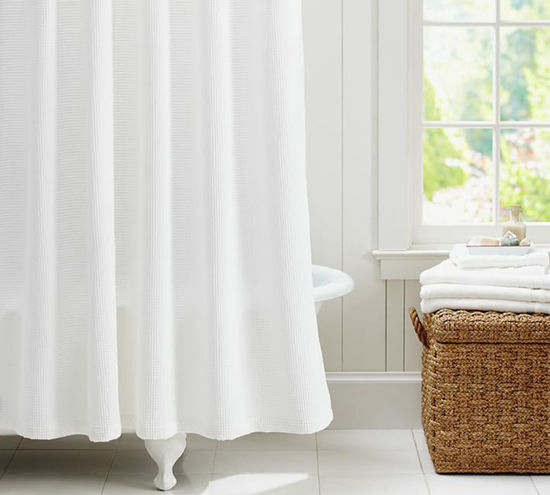 wouldn’t it be a great way to feel like you’re on vacation every morning? 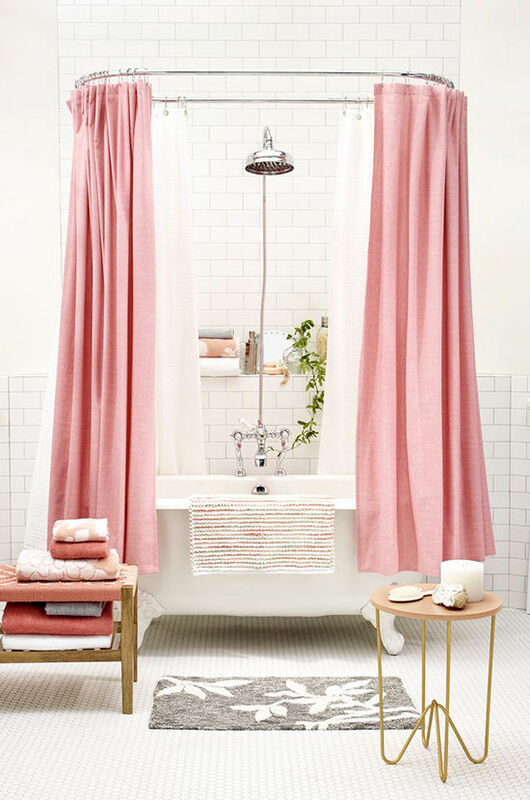 do you know where the pink shower curtain is from? no, unfortunately i can’t seem to find it anywhere! i’ll let you know if i i do! 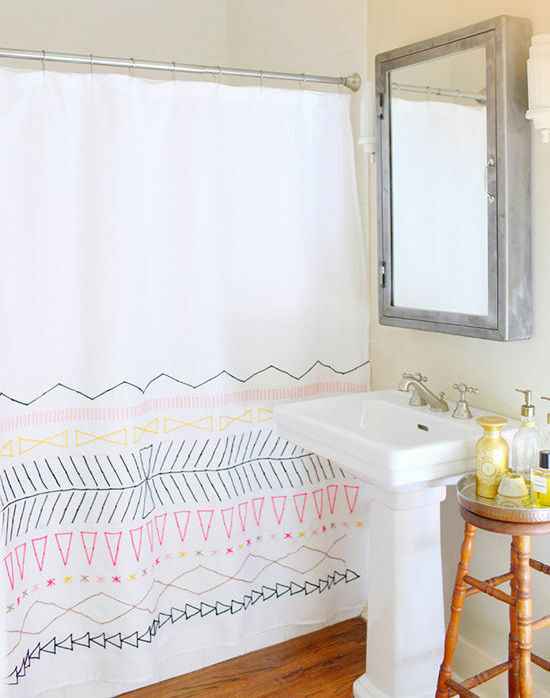 Oh my goodness – I just love that DIY shower curtain! What a great idea! 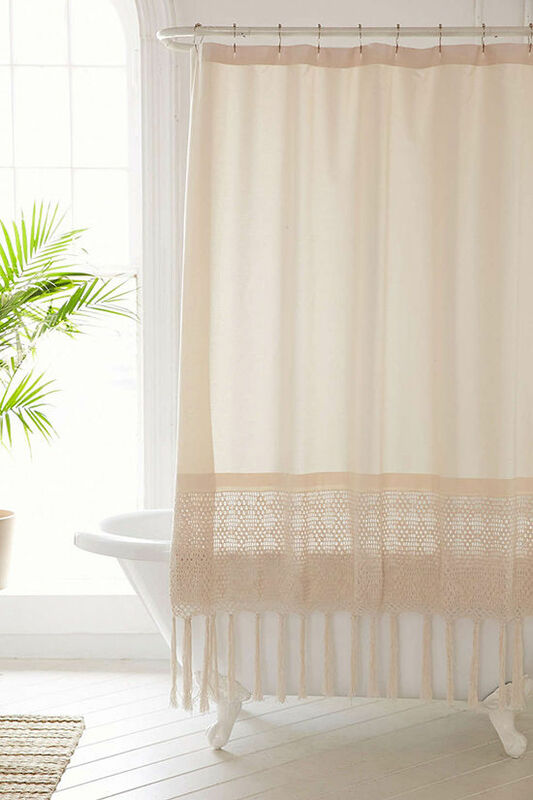 I’ve really been struggling finding something that I love – how did it not occur to me to just MAKE the perfect curtain!? Thanks for sharing! I like this series. 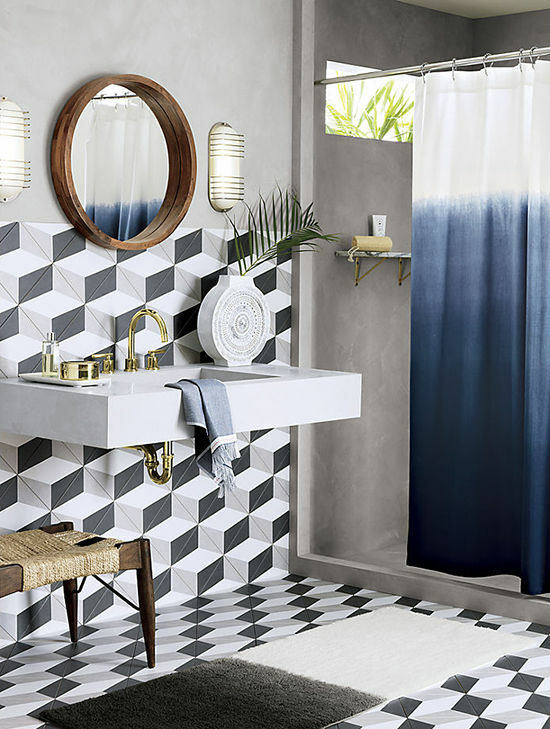 I’m renovating my bathroom and these posts have given me a lot of inspiration. All beautiful – thanks for the ideas! 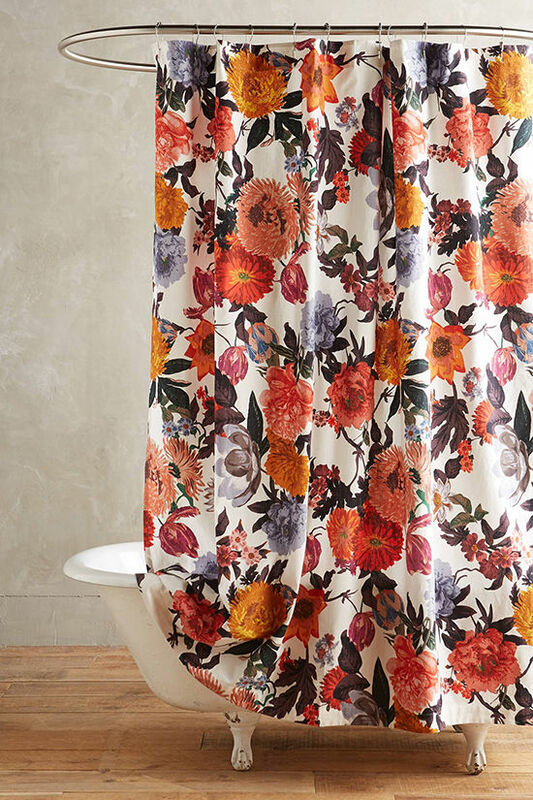 A few of the things on the first picture are from target, so I think this might be the curtain? 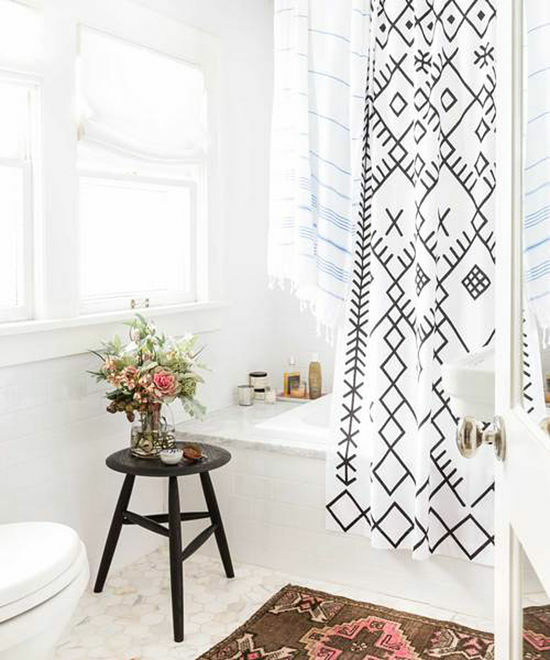 Where did you get the black and white line patterned curtain?!? LOVE!! 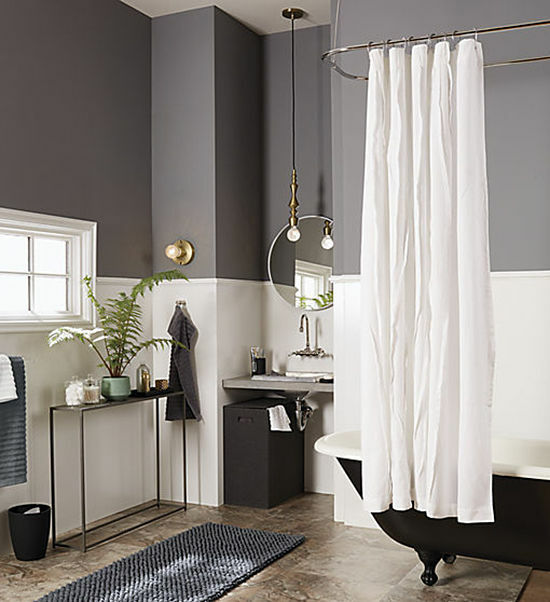 Where’s the black and white shower curtain from. 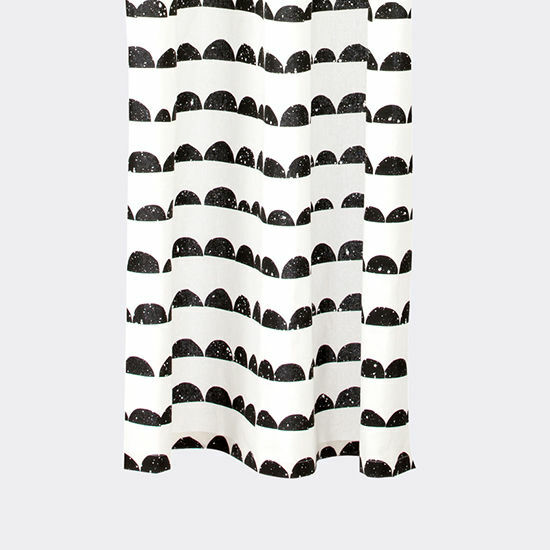 FOUND THE BLACK AND WHITE LINE CURTAIN GUYS! !